"The name of Bethune College was inextricably associated with higher education for Bengali women. Viewed in this light, no other women's college in undivided Bengal could hold a candle to Bethune. If one were to compile a list of Bethune students at the end of nineteenth century and the first four decades of the twentieth, the result would be a who's who of Bengali women of those times." Professor Sujata Chaudhuri of the Department of English, Bethune College and mother of Emeritus Professor Sukanta Chaudhuri, renowned academician, author and translator, once eulogized Bethune College in these terms. It is perhaps no exaggeration to state that Bethune College has played a pivotal role in the emancipation of women in India. The alumnae of the College have shown their brilliance during the last century in diverse spheres of life. The institution which started with the founder John Elliot Drinkwater Bethune's pioneering vision of producing 'better wives and better mothers in their homes' has, with the help of education, successfully enlightened generations of women to such a degree that they have emerged as triumphant empowered individuals in both home and the world. Pritilata Wadder, the famous freedom fighter of India, was a student of this College. Chameli Basu was the first Science student of this College and also the first woman Science Graduate of the University of Calcutta, followed by the eminent scientist Dr. Ashima Chatterjee, who holds the rare honour of being the First Indian woman to be conferred Doctorate of Science in 1944. Bethune College has always prioritised pursuit of knowledge, which is not confined to the pages of a text book. Our illustrious alumnae from various spheres of life testify to this fact. Some of our alumnae like Kamini Roy, Sita Devi and Shanta Devi were distinguished writers. Shobha Sen, the legendary actress belonged to this College. Sarala Devi Chadhurani and Hironmayi Devi belonging to the illustrious Tagore family were students of this College. The celebrated danseuse Manjushree Chaki Sarkar was also a student of Bethune College. The College owes its origin to John Elliot Drinkwater Bethune (1801 - 1851) who was born in Ealing, son of Colonel John Drinkwater Bethune of Salford, who had earned fame as the author of History of the Siege of Gibraltar. J.E.D Bethune was educated at Westminster School, graduated from Trinity College, University of Cambridge, and later qualified for the Bar to secure an administrative position in Parliament. He was proficient in Greek, Latin, German, French and Italian and also earned fame as a poet. 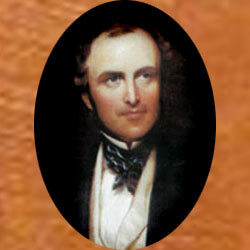 In 1848, he was sent to India as Law Member of the Governor General's Council. Besides his ordinary official duties he undertook the presidency of the Council of Education and took a keen interest in the education of women and the eradication of social evils. He was deeply moved by the illiteracy and hence oppression of Indian women who urgently required education, awareness and the ability to voice their protest and solve their problems. He decided to devote himself to the cause of Indian women. With encouragement from and participation of like-minded social reformers like Ramgopal Ghosh, Raja Dakshinaranjan Mukherjee and Pandit Madan Mohan Tarkalankar, Bethune established Kolkata's first school for girls in 1849 called the Hindu Female School, which later came to be known as Bethune School. Bethune passed away in 1851. In 1856, the Government took charge of the Hindu Female School, later renamed as Bethune School. The Managing Committee of the school was then formed and Pandit Ishwarchandra Vidyasagar, the celebrated social reformer responsible for the eradication of the custom of Sati and a relentless supporter of women's emancipation was made the Secretary. In August 1878, Bethune School was amalgamated with Banga Maha Vidyalaya which was founded by Miss Annette Akroyd with the help of Durgamohan Das, Dwarka Nath Ganguly and Anandamohan Basu. It was in 1878 that Bethune School had the honour of sending up the first woman candidate for the Entrance Examination of the University of Calcutta. When Kadambini Ganguly (nee Basu) cleared the examination, college classes were arranged for her in Bethune school to enable her to pursue her studies for the F.A. examination. This is how the College started. And for many years to follow, this College remained the only institution offering the scope of higher education for girls in India. Kadambini Ganguly was joined by Chandramukhi Basu in 1881. Both women graduated in 1883 becoming the first female graduates of Calcutta University. Kadambini Ganguly joined Calcutta Medical College as the first Indian lady student and later became the first practicing lady doctor in India. Chandramukhi Basu joined Bethune College as Lecturer in English and later became the First Lady Principal of the Institution. The earliest courses to be introduced in the College were those of English and Sanskrit in 1917. Affiliation was extended to the College for catering to I.Sc. course in 1923 and Mathematics along with Philosophy was added to the list of Honours subjects during the same year. Now, with changing times, Bethune College has 11 undergraduate and 6 postgraduate departments. The achievements of our students speak for themselves. Many of our students have topped University examinations; some have being awarded medals and prizes in sports and other competitions. The students are also involved in social activities through National Service Scheme befitting their social responsibilities. The College has reached its high level of excellence due to the dedicated team work of the teaching, administrative and assisting staff members and also support and encouragement from the Governing Body and above all administrative and financial support from the Higher Education Department, Government of West Bengal. Reaccredited by NAAC in 2015 with the 'A', Bethune College has celebrated 137 long years of tireless striving for knowledge which enriches the mind and ennobles the soul. The decades of 1980s and 1990s saw a rising awareness about the vital role that women's empowerment plays in the holistic development of a country. Incentivising women's higher education became a policy agenda for many developing nations. India also has taken various formal steps to enhance women's visibility in different walks of life with much success in the arena of education. With a deep sense of pride we look back to the glorious history of Bethune College as it is in the premises of this College that women's march forward to true empowerment started in 1879 when the College was set up as the first women's college of entire Asia. The college produced one of the first two lady graduates of British Empire, the illustrious Dr. Kadambini Basu and it obtained the other first lady graduate Prof. Channdramukhi Basu as its first Principal. That historically the college has been producing icons of women's empowerment can be seen from the long list of its successful ex-students. We can mention only a few- Pritilata Wadder, the first female martyr of India's freedom struggle, Jyotirmoyee Ganguli, the first woman councillor of the Calcutta Corporation, Ila Sen, the first Bengali woman to be selected for participation in Olympic Games and the first woman D.Litt of Calcutta University, Dr. Sabita Mishra. The institution has produced scientists, litterateurs, public servants, performing artists who are educated and enlightened individuals from all walks of human life. During its long journey of 137 years, Bethune College has nurtured the vision of excellence through continuous modernisation of the teaching learning process aided by research and all other academic pursuits. Awarded the Grade 'A' twice, in 2006 & 2015, by the National Assessment and Accreditation Council (NAAC), the College was granted the status of College with Potential for Excellence by the UGC. Satisfied with the performance of the science departments of our college, the Department of Science & Technology, Govt. of India has provided handsome fund under the DST-FIST programme. It was also sanctioned a considerable amount under the Rashtriya Ucchatar Shiksha Abhiyan (RUSA) for infrastructural and IT development. The college is proud of its students who emerge as achievers in diverse spheres. The synergy between teachers and students is one of our greatest strengths. The teachers are totally committed to the cause of students motivating them to do their best in their chosen fields. The Alumni Association of the institution which is 95 years old works in a symbiotic manner with the college for the enrichment and progression of the students. With generous help and encouragement of the Governing Body, administrative and financial assistance from the Department of Higher Education, Government of West Bengal and constant cooperation from all the stakeholders, Bethune College has played a major role in contributing to the cause of women in the country, producing empowered and enlightened individuals. Bethune College is a college under the Govt. of West Bengal & the Principal is the administrative head of the college. Like all government colleges, Bethune College too, has a governing body in accordance with the government rules. The President of our Governing Body is Smt. Saoli Mitra, eminent theatre personality. The body has nominees from the Government of West Bengal, Calcutta University, teaching staff, non-teaching staff and student as well. The Principal is the Member Secretary of the Governing Body. The body meets at regular intervals and helps in college administration. In pursuance of the NAAC Peer Team's recommendation for performance evaluation, assessment and accreditation and quality up-gradation, an Internal Quality Assurance Cell (IQAC) was established on 29th November 2006 as a post-accreditation quality sustenance measure. Keeping in mind that quality enhancement is a continuous process, the IQAC became an integral part of the Institution's system striving towards realisation of the goals of quality enhancement and sustenance. The IQAC of Bethune College has prioritized development of a system for conscious, consistent and catalytic improvement in its overall performance. For this, during the post-accreditation period, it has channelized all efforts and measures of the Institution towards promoting its holistic excellence. This Cell monitors the teaching, research and various departmental activities of each department. Feedback regarding teaching, infrastructural facilities and other amenities of the College are collected from the students by this Cell. This Cell visits each department every year to verify the yearly progress of the department with regard to record documentation, academic and research activities. The students' feedback for each department is evaluated. Good points are appreciated and remedial measures for the weak points are suggested to the departments by the IQAC team. The departments ensure the implementation of the remedial measures and report the IQAC team about their improvement. The Cell is responsible for regular submission of Annual Quality Assurance Report (AQAR) to NAAC. As outlined by the external regulatory bodies like the West Bengal Higher Education Directorate, the University of Calcutta and the UGC, the College introduces and implements required quality assurance measures. Value based education is provided to the students with the help of courses like Ethics and Value Education. Apart from that Communicative English and Computer Training classes are also organized for the students. A transparent admission process is conducted online. The College has a SC/ST Cell as recommended by the University and the Government. In keeping with the recommendations of the quality assurance agency NAAC, several measures have been adopted. Postgraduate courses in English, Mathematics and Bengali have been introduced in order to enrich the curriculum. Increased use of ICT in classrooms and administrative office has begun. The College has a Career Counselling Cell, Anti Ragging Cell, Psychological Counselling Cell and a Women's Studies Centre. The Governing Body and IQAC are also two regulatory bodies whose interventions have facilitated quality enhancement and sustenance. The IQAC has been constituted under the Chairmanship of the Head of the institution with heads of important academic and administrative units and a few teachers and a few distinguished educationists and representatives of local management and stakeholders. Rashtriya Uchchatar Shiksha Abhiyan (RUSA) is a Centrally Sponsored Scheme (CSS), launched in 2013 that aims at providing strategic funding to eligible State Higher Educational Institutions. The funding to states is based on the critical appraisal of State Higher Education Plans, which would describe each state's strategy to address issues of equity, access and excellence in higher education. The Union human resource development ministry has sanctioned Rs 2 crore each to 58 state-aided colleges in Bengal under RUSA for development of higher education in the state. Under this scheme, 58 colleges in West Bengal have received Rs 50 lakh as the first instalment of funding under the Rashtriya Uchchatar Shiksha Abhiyan. Bethune College is foremost among the colleges to have been selected for this programme. The selected colleges are required to spend the Rs 2-crore grant under three heads that include creation of new facilities, modernisation of laboratories, renovation and expansion of existing buildings, procurement of equipment such as computers and purchase of books and journals to upgrade libraries. The mission of the College has always been the development of a complete woman. Bethune College is committed to the cause of empowerment of women from all sectors including those who are socially and economically deprived through access to higher education enabling them to transform into intellectually vibrant, socially responsible, self-reliant women. Today women are leaders who epitomise the human values of caring, sharing and re-building societies sans stress and violence. The College provides literary and scientific education as well as empowers the students to be honest citizens of the nation.. The three glowing lamps - centrally for 'knowledge' side by side 'humanity' and "transparency", and the wheel for 'dynamism through exercise' constitute the emblem. The goal of Bethune College is to endow its learners with access to higher education through quality teaching-learning process. The College has always attempted to support and sustain the vision of John Elliot Drinkwater Bethune who paved the path of progress for women by liberating them from their shackled existences and by illumining their future with the help of education.